Contact City Vacuum & Sewing at cityvac@aol.com or call#206-365-9999 for shipping costs. Free in-store pick up. 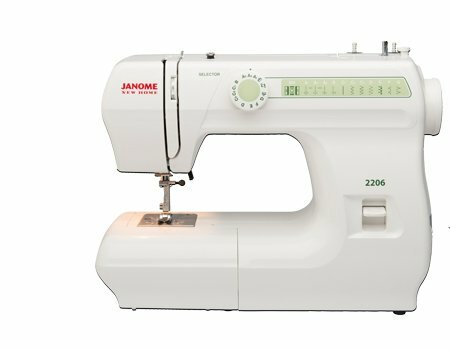 The Janome 2206 is a great machine for the beginning or returning sewist. This full-size, mechanical machine offers 6 built-in stitches, including a 4-step buttonhole. Stitch width and pattern selection is easy to control by a dial on the front of the machine. Bigger machine versatility like a free arm and drop feed makes this a machine that will grow with sewing skills. You'll even find great convenience features like a built-in thread cutter and snap-on presser feet.